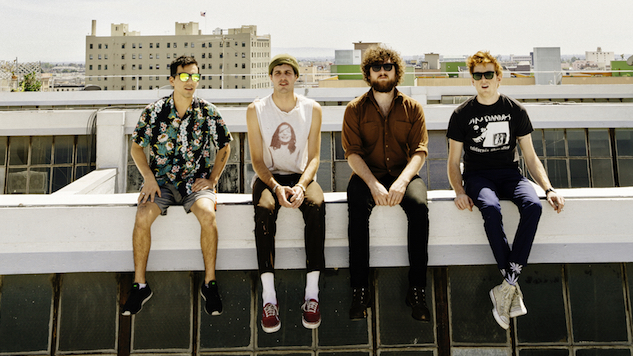 FIDLAR Are Back with a New Thrasher, "Are You High?" On Tuesday, they shared a new loose track, “Are You High?” (ft. The 90s). It’s the exact brand of 40-drinking, skate-punk, crunchy guitar-riffing sort of debauchery for which we’ve come to know and love FIDLAR. The lyrics are short and simple so you can still sing-scream them while you’re flailing in the pit—if you can remember “Hello / Goodbye / Are you high?” you’ll be good to go. The track also comes with a music video that is equal parts so-so quality concert footage and DIY editing. Footage for the video was taken at various shows on FIDLAR’s tour, which started at the end of June. You can revisit those tour dates here and find the video for “Are You High?” and a FIDLAR performance from the Paste archives below.